MaRS Innovation and Pfizer Inc. have agreed to fund and commercialize a Toronto scientist’s bio-manufacturing technology. Dr. Stuart Berger, a senior scientist at University Health Network, has developed a technology that generates cell lines with improved protein production and survival properties, which is important in the industrial production of therapeutic proteins. His work typically focuses on mast cells, factor-dependent and independent leukemia cells and breast cancer. 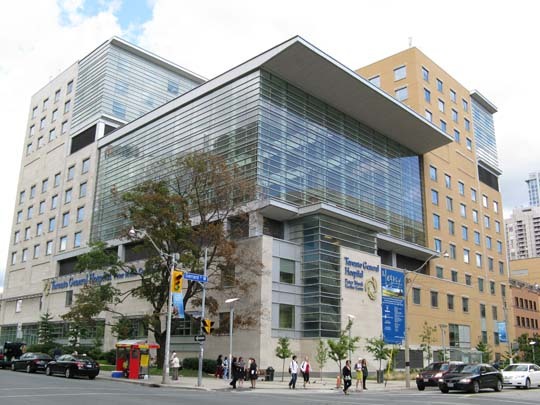 Berger’s work is done through the Toronto General Research Institute (TGRI), the research arm of the Toronto General Hospital. The bio-manufacturing sector is a rapid-growth area, particularly for investment. In fact, MaRS mentioned that current estimates place the global market for therapeutic proteins at over $100 billion dollars, expected to grow at 12 per cent annually. Berger’s modular technology can potentially be used in other sectors such as reagent manufacturing for clinical diagnostics and laboratory research. The technology was previously funded through a MaRS Innovation funding program, on behalf of the Government of Ontario. Now MaRS and Pfizer will jointly fund Dr. Berger’s lab. Both parties are also keen on discovering new technologies and startups within MaRS Innovation’s 16 member institutions, which includes the University of Toronto and its nine affiliated teaching hospitals. MaRS Innovation (MI) is largely funded through the government of Ontario, through the Ontario Centres of Excellence, and the government of Canada, through its Networks of Centres of Excellence. MI is meant to discover and fund technologies from several universities and other academic institutions, including University of Toronto, OCAD University, Ryerson University, York University, Mount Sanai Hospital and more. Annual research and development costs on behalf of MI amount to $1 billion.